Long before anyone knew about the existence of the oral microbiome, or even about the existence of microbes themselves, Hippocrates reportedly cured systemic conditions, such as arthritis, by pulling infected teeth (1). Sound crazy to you? Well it sounds crazy to a lot of other people as well, including modern-day professionals who are still trying to wrap their minds around the idea that the mouth, specifically the oral microbiome, can explain the causes of various, systemic diseases such as cardiovascular disease. The mouth contains one of the most significant microbiomes because it is the gateway to the body. It is the first meeting place between the immune system, the gut, the outside environment, food, microbes and pathogens. 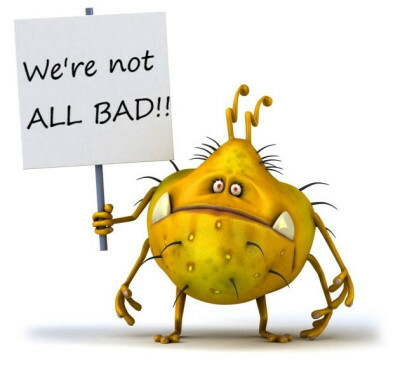 Maintaining a balance between “good”, symbiotic bacteria and “bad”, pathogenic bacteria is a key component in maintaining overall health. …But how can this be? New understanding of the oral microbiome is shaping how we think about caries, periodontal and systemic diseases. While the traditional view held that these diseases were caused by a limited number of pathogens, we now think of the oral microbiome as a finely tuned community that determines the balance not only between oral health and disease, but also some systemic diseases (2). So far, three pathways linking oral infections to secondary systemic effects have been proposed. Metastatic Infection: Transient bacteria from oral infection or dental procedures can gain entrance into the blood and circulate throughout the body. Disseminated microorganisms may find favorable conditions, settle at a given site and, after a certain time lag, start to multiply, colonize and infect. Metastatic Injury: Certain bacteria can produce toxins that, when excreted or introduced into a host body, can trigger many pathological manifestations. We can begin to acquire a more concrete understanding of these mechanisms by looking specifically at the second most common oral disease in the world: periodontal disease–and how periodontitis is connected to cardiovascular disease, diabetes, and cancer. Periodontal disease refers to inflammatory processes in the tissues surrounding the teeth, in response to bacterial accumulations, or dental plaque, on the teeth (4). When anaerobic bacteria found in invasive microbial plaque penetrate gingival tissues in the gums, this can induce tissue destruction as well as inflammatory responses from cells such as lymphocytes, macrophages, leukocytes, and other cells with crazy names that are associated with the immune system and protect your body from foreign pathogens. Now, although it may seem as if the disease is only restricted to the territory of the mouth, periodontal lesions are recognized as continually renewing reservoirs for the systemic spread of bacterial antigens, cytokines, and other proinflammatory mediators (5). In other words, consider a periodontal lesion like a rotting fruit hidden in the trunk of your car. At first, you may have no idea about the banana sitting in the corner of your trunk underneath a pile of shoes. However, if left to sit for some time, the once healthy banana will turn into a brown lump of mush that will attract fruit flies in the same way the bacteria in periodontal lesions elicit an immunological response. If the rotting banana is still not attended to, then the normal progression of any food item that is left out will follow, and the smell of decay will inevitably permeate the entirety of the car. Periodontal disease itself is treatable through surgical procedures that involve removing plaque and tartar from the teeth and root surfaces. Relating back to the rotting fruit analogy, once the source of the smell is found, it too, can be cleaned and managed. However, the smell will still remain for quite some time after, similarly to the way periopathogenic bacteria will remain in the body due to dissemination via the circulatory system. This can lead to increased risk of certain systemic diseases, including cardiovascular disease. Researchers have linked periodontitis to cardiovascular disease through corroborating associations between specific bacteria (consistent with periodontitis) and coronary diseases developing as a result of atherosclerosis. The exact mechanism in which pathogenic bacteria involved in periodontal disease such as Porphyromonas gingivalis, Helicobacter pylori, and Prevotella intermedia influences thickening of arterial walls is still unknown, but it is proposed that penetration of such microbes into the circulation system can lead to direct invasion of arterial walls (yuck!). Another proposed pathway is the release, in response to infection, of systemic inflammatory mediators that can produce arterial plaque, the early stages of atherosclerosis (4). Periodontal pathogens can also spread into the systemic circulation system by means of dental treatment procedures. Due to the close proximity of the oral cavity to the respiratory tract, perhaps it is easier to see how pathogens in the mouth can affect the lungs rather than the heart. In fact, recent epidemiological studies have shown that there is an increased risk of chronic obstructive pulmonary disease (COPD) as a result of inflammatory responses to certain periodontal pathogens (such as P. gingivalis). Despite the numerous shared associations between periodontal disease and COPD, the exact mechanism by which oral bacteria contribute to the pathogenesis of respiratory infections is still unknown. However, studies have suggested that either direct aspiration of oral pathogens into the lungs (yuck!) can cause infection, or periodontal disease-associated enzymes in saliva can alter mucosal surfaces, promoting adhesion of respiratory pathogens (6). Now, if you’re still reading and aren’t already astounded by all of the information given above, get ready for another shocker. Periodontal disease is an associated risk factor for cancer mortality. (*cue jaw dropping to the floor). This information was put forth after a 10-year follow up study on 68,273 adults was conducted to determine a possible connection between periodontal disease and cancer, particularly pancreatic cancer (7). Research on this topic is still in the early stages, but the basis on which it stands still traces back to bacteria involved in periodontal disease and, ultimately, an imbalanced oral microbiome. Click here to learn more about the oral microbiome and how exactly things spin out of balance. (For all those people out there that only read the introduction, conclusion, and briefly skim the large majority of the writing, this is for you). Prevention and early diagnosis of periodontal disease is not only beneficial for oral health, but systemic health as well. This is because periodontal disease is associated with a noticeable increase in risk of cardiovascular disease, chronic obstructive pulmonary disease, and even (tentatively) cancer. Such findings would not have been possible without the understanding of the oral microbiome and its potential to not only reduce risk of the diseases mentioned above, but also to improve the well-being of people born with autoimmune diseases. Continue reading on to the next post to find out more information on how the oral microbiome is associated with specific systemic autoimmune diseases. Bingham, Clifton O., and Malini Moni. “Periodontal Disease and Rheumatoid Arthritis.” Current Opinion in Rheumatology, vol. 25, no. 3, 2013, pp. 345–353., doi:10.1097/bor.0b013e32835fb8ec. Zhang, Xuan, et al. “The Oral and Gut Microbiomes Are Perturbed in Rheumatoid Arthritis and Partly Normalized after Treatment.” Nature Medicine, vol. 21, no. 8, 2015, pp. 895–905., doi:10.1038/nm.3914.